How to play x265 mp4 video on Android? "I just downloaded season 1 of the flash from a torrent. It has the following file name: "the flash season 1 1080p bluray x265 thlullaby". When I tried to play the episodes on my android, it doesn't play smoothly. How do I play it on my android?" 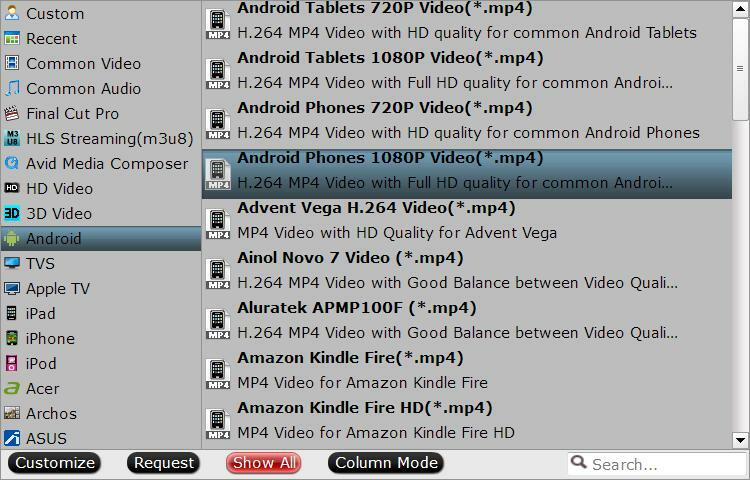 From Android phone/tablets supported file formats, we get the information that the best playback video codec for Android phone/tablets is H.264 Baseline Profile codec and the supported file resolution is up to 1280 x 720p. However, the H.265 codec is a cutting-edge and high efficiency video codec that's particularly used for streaming 4K video. In addition, the process of decoding H.265 will be very processor intensive, therefore, it seems impossible to viewing H.265 on Android phone/tablets smoothly. To get the compatile profile settings, you can adjust those settings in the program's "Profile Settings" window. And it would be much ideal for you to compress 4K H.265 to 1080p or 720p to smoothly play the video on your Android phone or tablet. For those people who have no idea how to adjust those settings on your own, you can directly output Android phone/tablets preset profile formats. 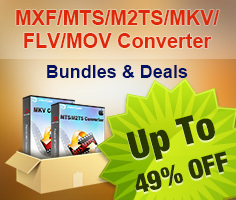 How to Convert and Compress H.265 for Android Phone/Tablet? Step 1: Load H.265 source files. Start the program on your computer, click "File" > "Load Video/Audio" or "Load from folder" button to import 4K video files into the program. 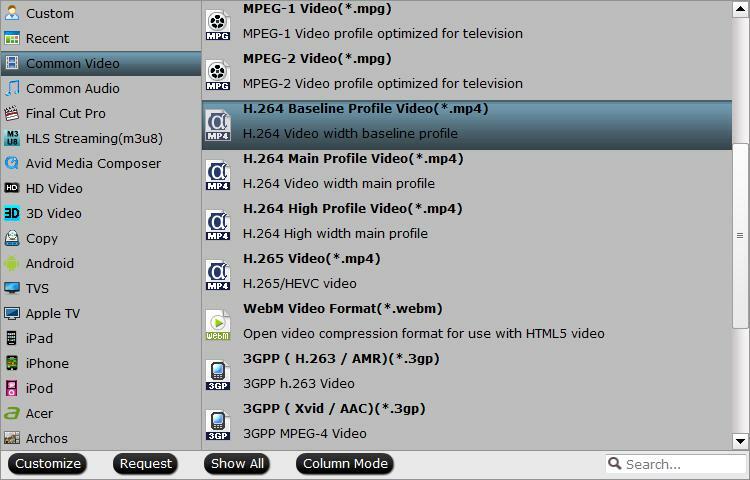 Click "Format"bar, from its drop-down list, select Android phone/tablet best compatible "H.264 Baseline Profile Video(*.mp4)" under "Common Video" main category. You can then adjust other profile parameters in the program's "Profile Settings" window to make them adapt with your Android phone/tablet. Make sure to output "1080*720" or "1920*1080" from "Size(pix)" drop-down option. You can also choose to directly output Android phone or tablet preset 1080p or 720 file formats under "Android" main category. Step 3: Begin the conversion. After all setting is completed, hit right-bottom "Convert" button to begin the 4K H.265 video to Android phone/tablet conversion or compressing process. 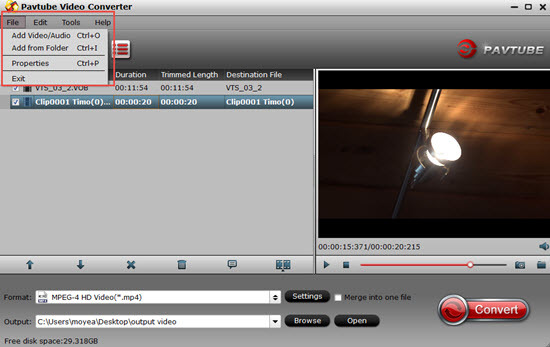 When the conversion is completed, you can smoothly play converted video on Android phone/tablet.